Cup of Coffee 4/6: The Red Sox system struggled during a crowded Saturday Slate. Bryan Mata's 2019 debut was the lone bright spot of the day, while Tanner Houck began his campaign on rough footing. On a quiet day for the system's bats, Tony Renda and Gorkys Hernandez hit home runs, while Jarren Duran continued his hitting streak to start the season. The PawSox took an early lead but they were quickly overcome in the first game of the doubleheader against a strong Syracuse team. Starter Chandler Shepherd picked up the loss, going five innings while giving up four runs and striking out six. Travis Lakins struggled in relief, surrendering two hits and an earned run in his sole inning of relief. 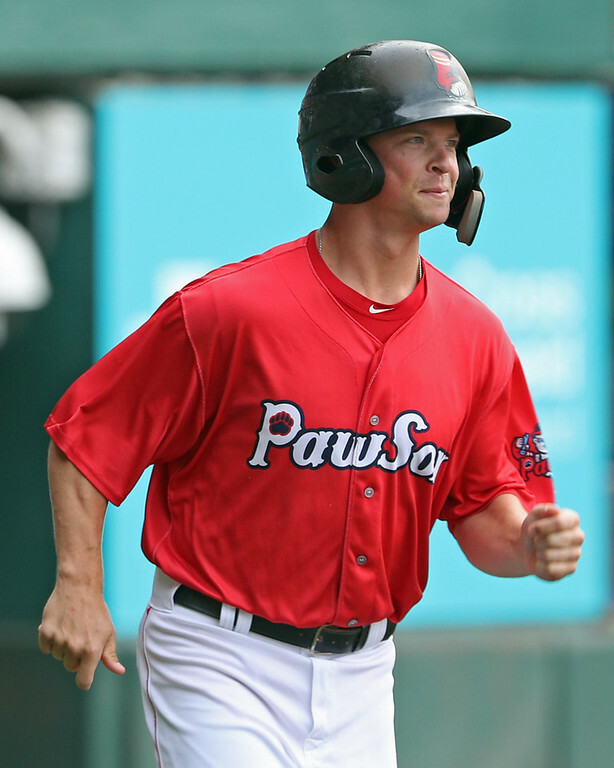 On the offensive end, Tony Renda's (pictured, left) second-inning home run and a double by Sam Travis were the lone highlights, as the PawSox dropped their first game of 2019. The struggles continued in the second game of their double header, falling in extra innings. Erasmo Ramirez delivered an abbreviated start, going two innings and surrendering a run in his Pawtucket debut. Brock Runzler added two scoreless innings following Ramirez, but the PawSox bullpen surrendered a run in each of the last three innings to sacrifice the lead. The PawSox offense continued to struggle, with the exception of Gorkys Hernandez and Juan Centeno, who launched a three-run home run and added two singles, respectively. The Sea Dogs completed a dreadful opening series against Reading with a tough 8-1 loss. Tanner Houck struggled in his season debut with Portland, pitching four innings while allowing 14 base runners (11 hits and three walks) on his way to giving up seven earned runs. Adam Lau fared better in relief, firing two scoreless innings while striking out four. The Sea Dogs offense fared little better than Houck, striking out 16 times. Bobby Dalbec did not register a hit, but he walked twice while Aneury Tavarez and Jeremy Rivera collected Portland's lone base knocks. 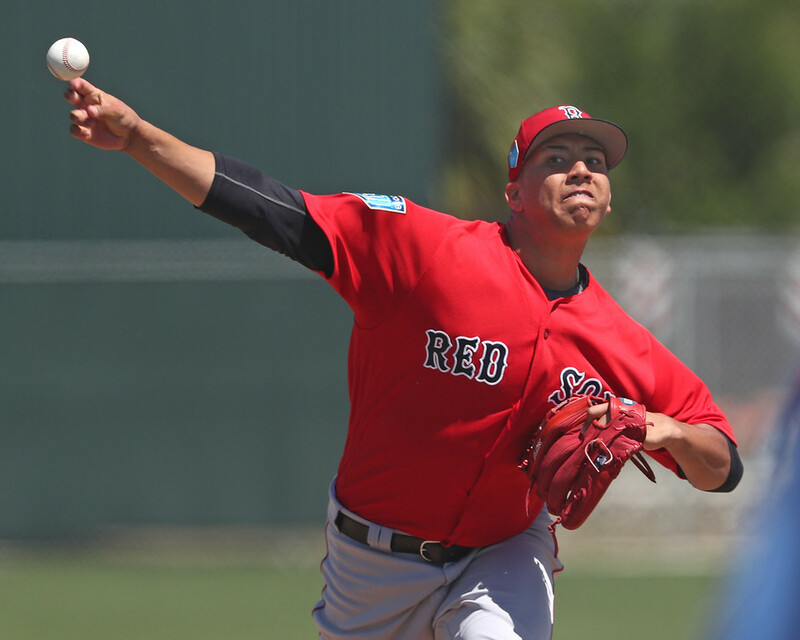 Salem collected the only win among Red Sox affiliates on Saturday, downing Wilmington in an abbreviated pitching duel. Bryan Mata (pictured, right) was the arm who emerged victorious, delivering 5 2/3 innings of one-run, four-hit ball on his way to his first win of the 2019 season. Pedro Castellanos and Jagger Rusconi played the heroes for Salem, each collecting an RBI, while Ryan Fitzgerald added two hits to the light offensive output. Jake Cosart closed out the game with 1 2/3 innings of scoreless relief. Salem fared worse in the second leg of the double header, dropping a tight game to Wilmington. Jhonathan Diaz got the start, striking out five over 2 2/3 innings of one-run ball. Devon Fisher collected the loss, while Joan Martinez closed the game out by striking out two over a scoreless inning. In a similar theme, Salem's bats had a quiet evening. Michael Osinski presented the lone offensive threat going 2 for 3 with a double and an RBI. Tanner Nishioka added another double while Jarren Duran extended his hitting streak to three. Despite producing more runs than any other Red Sox affiliate on the day, Greenville came up short in their clash with their Pittsburgh counterparts. No Drive batter collected more than one hit, but Grant Williams was able to deliver two RBIs while Elih Marrero and Kervin Suarez each added a double. On the mound, Yasel Santana was pulled after just 1/3 of an inning, walking four and giving up a hit while surrendering two runs. Angel Padron pitched well in the unplanned piggyback role, giving up only one run on six hits and two walks across four innings. Alex Demchack finished out the game wth two scorless innings, striking out two. Player of the Day: Following an up and down 2018, Bryan Mata put together a strong debut for the 2019 season. Despite repeating a level he spent much of the previous season at, the right-handed Venezuelan made a strong case for quick promotion to Portland with his first win of 2019.